On a recent morning at HUGE Improv Theater in south Minneapolis, people were improvising. "I'm not comfortable naked!" declared one man. "I'm really comfortable naked," replied another. "I've noticed," the first replied. 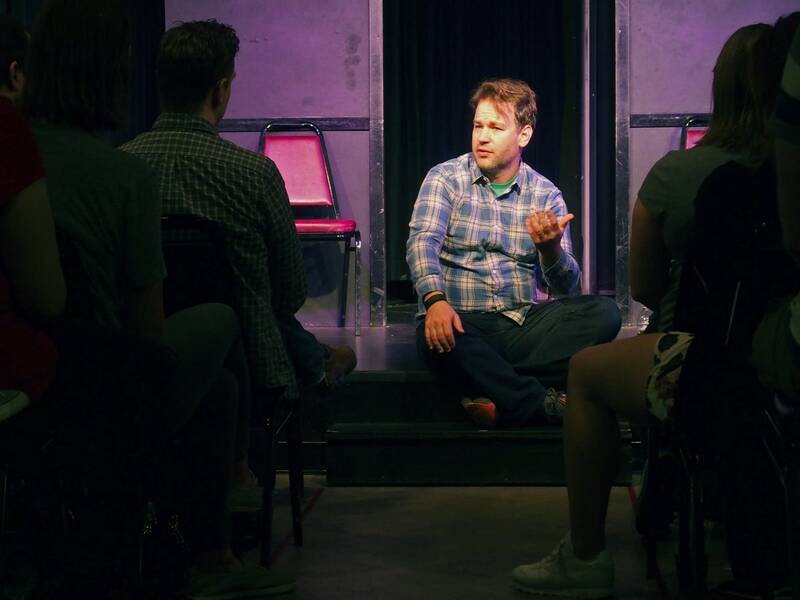 The crowd of about 30 was there to practice and learn from Mike Birbiglia. He was there to discuss his new film, "Don't Think Twice." "Hi guys!" he called out as he arrived, to a smattering of applause. 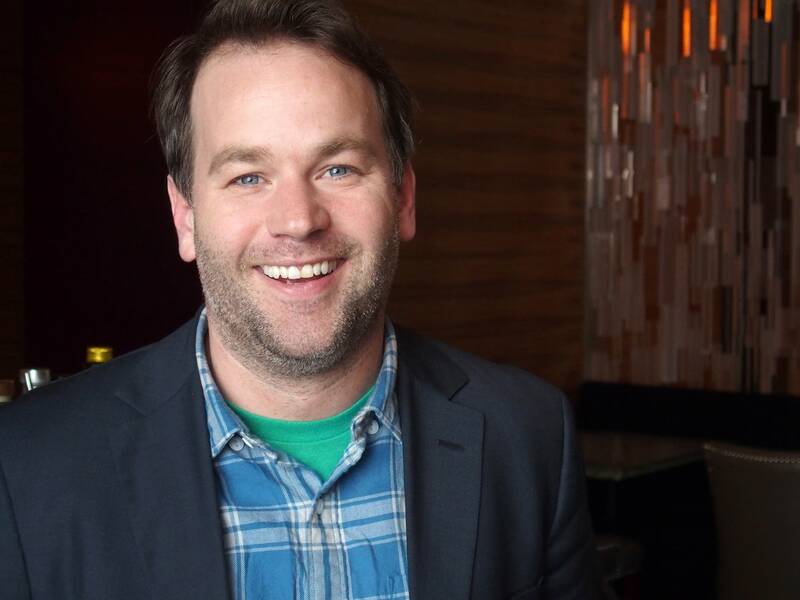 Birbiglia is one of those performers whose name rings a bell. But it really helps to see his picture. He's had bit parts in "Orange is the New Black," "Trainwreck" and "The Fault in our Stars." He's a stand-up comedian too, and had a series of off-Broadway shows. But he got his start in improv, and he's long admired the Minneapolis scene, with HUGE and the Brave New Workshop. Sure, he said, improv's about getting laughs on stage, but at its best it offers profound observations about the world and humanity. "You see that performance doesn't have to be this narcissistic pursuit," he said. "It actually can be something that affects people, connects with people and makes them feel a catharsis if you are doing it right, if you are reflecting people's experiences back to them." It was with this in mind that Birbiglia created "Don't Think Twice," his movie about an improv group making a go of it in New York. He wrote, directed and costars in the movie, which opens in the Twin Cities this week. "We are The Commune!" a group member calls out to the audience in the movie. "So everything you see tonight is going to be improvised. And this show is really all about you guys. So we want to know: Has anybody out here had a particularly hard day?" 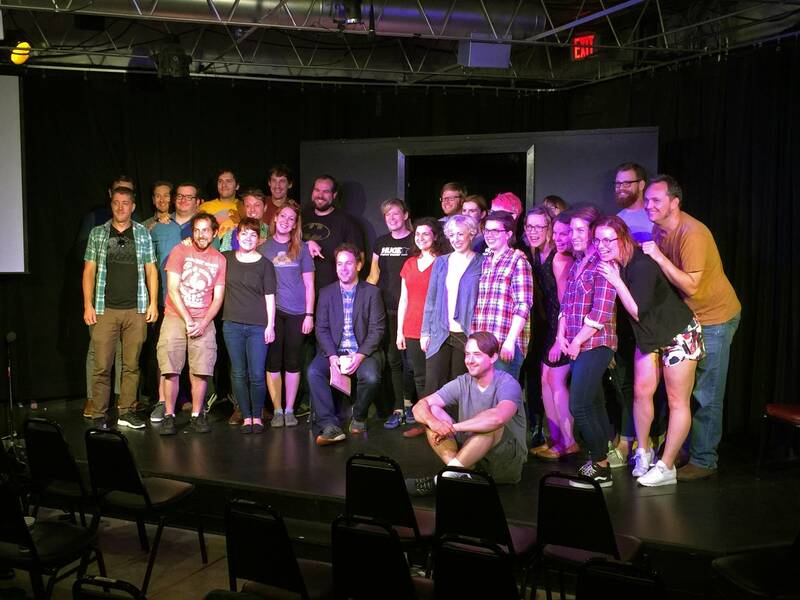 The group builds comedy out of audience experiences. But "Don't think Twice" is about more than humor. Birbiglia said it grew out of an observation by his wife. "She said, 'Your stand-up friends are so mean, and your improv friends are so nice!' And I said, 'It's true, but it's more complicated than that.'" The mantra of an improv group is "Yes and," which helps members move scenes forward. It has to be all about the group. At the same time, Birbiglia said, individuals are working both with and against each other. "What if we saw a group of friends where we really kind of feel how competitive and envious they are of each other?" Birbiglia asked. "Because I felt that was a very relatable human idea." 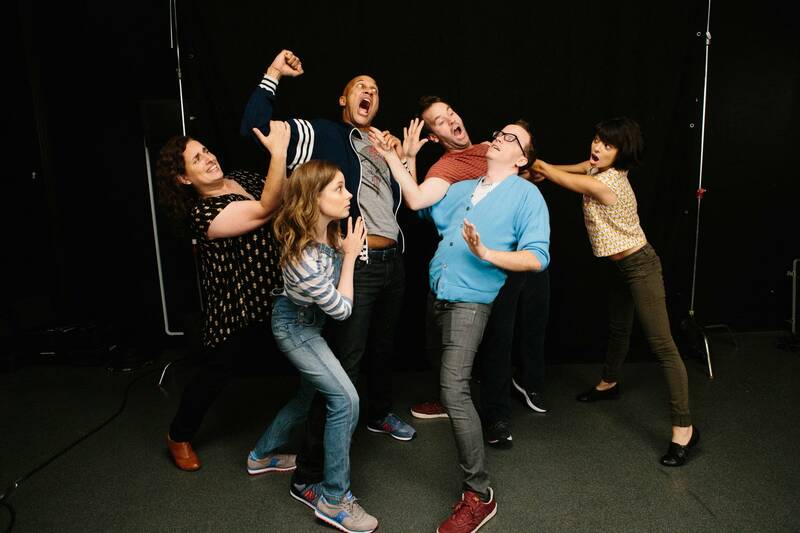 In "Don't Think Twice," the group has to face uncomfortable feelings when two of its members get auditions for a "Saturday Night Live"-like show. There's envy, even resentment, and a sense that time is running out on their dreams. The friends have to struggle with how it shakes out. Birbiglia said that when he and his friends started out in their 20s, they shared a common vision of success. "We all wanted to work for one of like three shows in New York City, basically," he said. "And I think in our 30s a whole bunch of us realized that's not necessarily the goal anymore." Birbiglia said his message is that success can take many forms. "And I think in America we have this very narrow sense that success equals exposure," he said. "And I don't think that it does. I think success equals positively affecting someone else's life and contributing to society in some way." His goal was to have his own sitcom. Now he wants to keep making movies. This is the second film he's done with This American Life's Ira Glass as a producer. The first was "Sleepwalk with Me," based on his one-man show. Birbiglia said they work well together. "I'm a comedian who is obsessed with journalism, and he's a journalist obsessed with humor," Birbiglia said. "I defer to him when it comes to story. He defers to me when it comes to humor." "Don't Think Twice" is being hailed by critics for both its storytelling and its laughs. About half the people in the crowd at HUGE Improv had seen it, and they agreed. Birbiglia related to them how, after performing his off-Broadway shows to a full house, he'd hear from people that they really hope he makes it. "I'm like, 'Dude," he said. "This is it!'" And for Birbiglia, that's enough.